I just started reading a new book by a local author and I’m excited to tell you all about it! 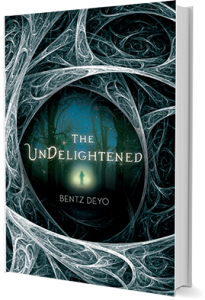 The Undelightened is Bentz Deyo’s first published book, but it’s just the beginning of a larger series. The story is set in a fictionalized suburban NJ town (in honor of Bentz’s Mountain Lakes roots!) The main character is an 18 year old named Leam Holt who is coming of age in a world where magical powers are used in the battle between Darkness and Light. New Jersey was also an influence on the characters Bentz introduces in the book. I know it’s not exactly Real Estate news, but when a Mountain Lakes author and a Boonton based publisher team up, it’s a wonderful thing for the community! 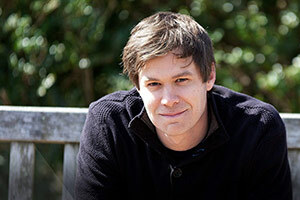 In fact, last month Bentz Deyo ran a writing workshop for local teens at the Denville library. Make sure to check his website for more events and book signings! Are you curious about the book yet? You can get the first two chapters for free from BentzDeyo.com, or even download an e-reader sample from the iTunes or Amazon! Give this locally written and published book a try!